Dr. Buranasompob, Managing Director, Endeavor Management Thailand is a leadership and transformational expert. Dr. Buranasompob is currently working with REDDS, known for futuristic innovation and global think tanks in prominent science communities, and as an advisor of Mind.Ai, a third wave general artificial intelligence company based in Seoul, South Korea. Dr. Buranasompob is also providing advisory roles to KMITL, a leading Science and Technological University in Thailand in partnership with Carnegie Mellon University. Dr. Buranasompob also founded PAC 17, and directs its Executive Education and Enrichment Institute in partnership with SAID, Oxford University. Dr. Buranasompob is a National Best Selling Author, columnist and motivational speaker. 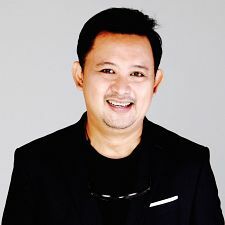 Dr. Buranasompob’s is currently providing life enrichment consultation and relationship management to top performers in various fields including those in academia, CEOs of major corporations, lawyers, traders, medical doctors, sports personalities and coaches, performing artists, fashion designers, and celebrities. Dr. Buranasompob also in active in research in how young people find competence using a strength-based approach. Currently, his research is funded by Fulbright. Dr. Buranasompob has held positions as the Commissioner under the Secretariat of the Prime Minister, as Secretary to Chief Ombudsman, and is currently a Board and Executive Director of an International NGO. Dr. Buranasompob is a Fulbright Research Fellow, an Oxford Business Alumni Committee (Bangkok Chapter) with two doctorate degrees in Organization Development and Counseling Psychology. Dr. Buranasompob is a training partner of Culture Active and senior consultant of Birkman Assessment and Methods.